When it comes to lawyer marketing, it’s important to strike a careful balance between showcasing your unique expertise and detailing how relatable you are to your client. You want to sound like the intelligent lawyer that you are, but you don’t want to come across as stodgy. To help maintain this balance, you perhaps want to consider the advice included in a new report. First off, you don’t need to fill your marketing materials (including web and social content) with language that really only belongs in a legal filing or law book. While you might know the law as applied in the 1984 case of Venkman v. Gozer, your client isn’t interested in the specificities of that case so much as they care about how you’re going to help them in their situation. Drop the legal jargon to lay out concepts in a way that anyone could understand. This may sound silly, but something as simple as including a photo with your content can improve conversion rates and searchability. 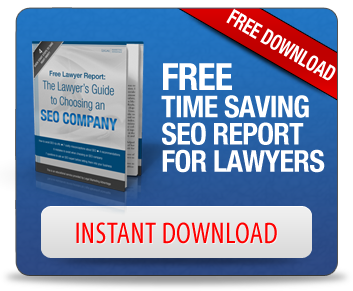 This is especially true if you have multiple attorneys who contribute content to your web and social platforms. Clients and other connections can begin to get a sense of the character of each person at your practice with no more than the uploading of photos for firm partners. Finally, strive to explain the full breadth of the value of your legal assistance in the fewest terms possible per page. You might want to detail every automobile accident case you’ve ever won, but a client only really needs to see some key cases and a description of why you’re suited for the task at hand.